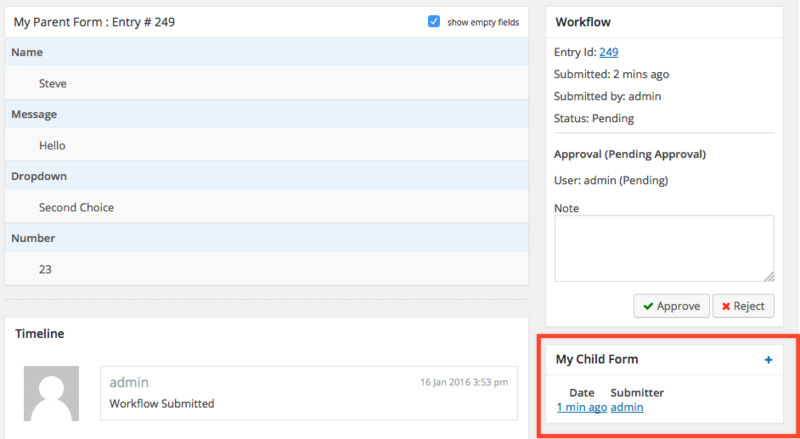 The Parent-Child Forms Advanced Extension version 1.0 is now available for purchase in the extensions section. 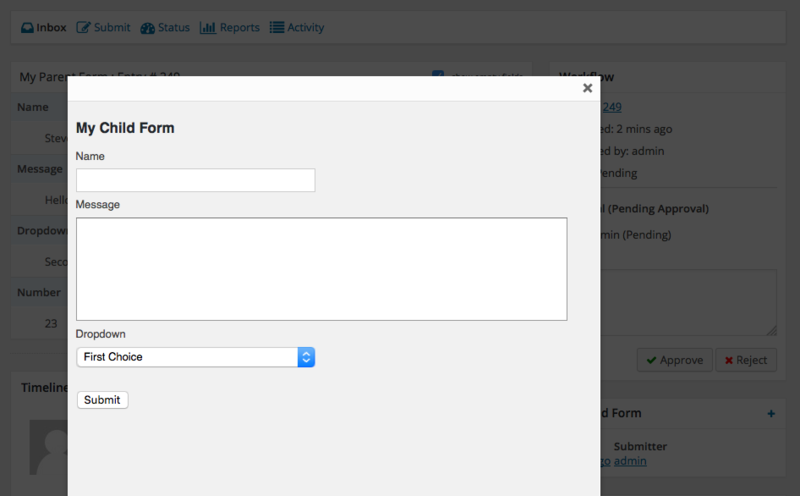 The Parent-Child Forms Advanced Extension allows Gravity Flow administrators to define Parent-Child relationships between forms. While viewing an entry for a Parent form a new child form can be submitted which will be linked automatically to the current entry.